Bhutan’s beauty in the sense that what visitors see is all natural and there is no artificial creations. 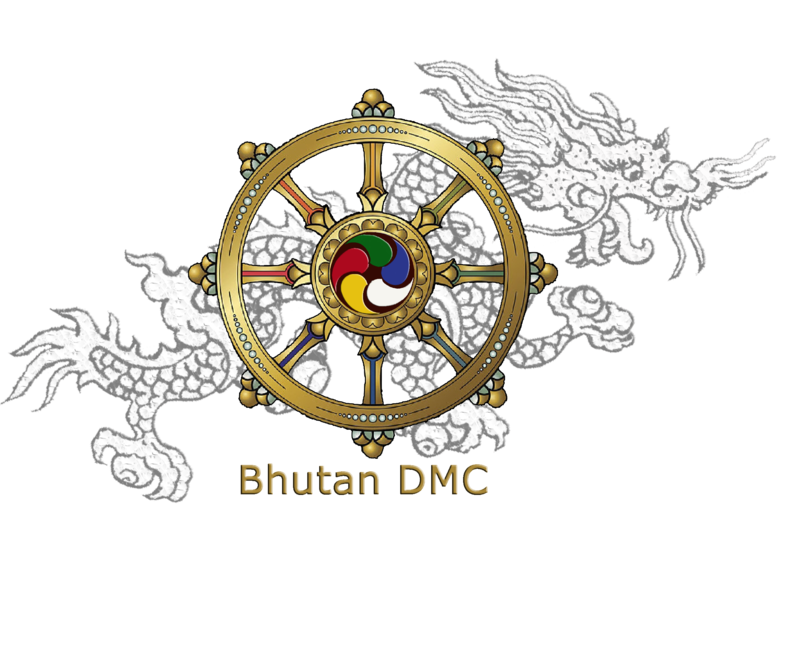 The closed-door policy till 1960 has been a great boon to the preservation of Bhutan’s natural, social and cultural heritage. Minimum, valid for six months after your entry into Asia. One other important document to carry will be your Driving License, which is helpful (in case of emergency it can be used as substitute of passport or in case of loss of your passport) Photocopy of passport page to be carried in wallet. It’ll be emailed to you. You have to bring the copy and produce, when demanded. Visa fee is included and you don’t need any passport size photos. In terms of this trip you are fully covered by personal insurance against any possible medical expenses, to include the cost of repatriation if – this should be necessary. Sneakers or comfortable walking shoes; A pairs of slippers; Ponchos or raingears or Umbrella according to the season of your travel; A small daypack; A penknife & a lighter for emergency; A flashlight with extra batteries; Wet wipes; Sunscreen lotion; Sunglasses; reading glasses and some books etc. With great altitude variations weather is quite erratic in Bhutan. 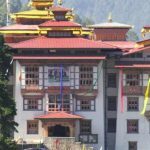 The prime requirements for clothes to bring to Bhutan trip is that they should be comfortable, and appropriate to the weather conditions that you are likely to face. You should be equipped to deal with wide variation in temperatures such as light windbreaker jacket and warm flees would be helpful. We expect visitors to dress modestly and respectfully especially visiting monasteries, Dzongs & other important institutions. Please note that with unique culture and religion, the Bhutanese people possesses different social behavior than normal westerners. People don’t mind taking their pictures but it’d be polite to ask their permission; giving anything directly to children is strictly discouraged, this encourage begging in future; Dress modestly, particularly while visiting religious institutes or walking through villages and public places; Remove your shoes before entering temples; Do not touch, walkover or sit on any religious texts, objects etc; Do not smoke in monasteries and public places Bhutanese follows strict code of conduct and etiquette. It should be noted that whilst the best possible accommodation will be provided in each places but the facilities and standards are not to be any means of the same level that one would find in a star grade hotels in other countries. Generally much more basic in some cases, in all the hotels there is no facilities such as comb; toothbrush; toothpaste; cosmetics. You need to bring them on your own. Normally small group buffet meals are prepared with two to three vegetables items, one meat item & rice. You may bring your favorite snacks such as energy bars/dry fruits/jerky, canned food etc. Due to ongoing East West National High Way widening works in progress, road conditions are not smooth and mountain roads are quite snaky. In case you get motion sickness. You may carry car motion sickness medicine. Bring your own medicines, as you may not be tuned to Asian drugs. Motion sickness medication or other remedy, if you are susceptible to car sickness. Sometimes barking dogs can be annoying at nights. It’s advisable to bring earplugs with you. Bhutan’s currency is the Ngultrum (Nu), that’s at par with the Indian rupee. It is however recommended you always carry travelers check or cash (in US$) as credit card facilities are not available in most places. ATM recently installed in capital but often doesn’t function due to technical drawbacks in Bhutan. Although some of the international mobile phones will work here. Maybe it will be more practical and cheaper to buying local SIM with internet package. All the cities have mobile phone networks. 3G/4G facilities are also available in major cities. Almost all the hotels will have WIFI facilities too. all major towns are well connected with electricity that runs on 220/240 volts with round hole two-pin and three-pin power outlets. Our energy is clean and green energy generated by hydro-power. Our standard time is 6hrs. ahead of GMT and there is only one time zone throughout the country. Your baggage should have your identifications. Baggage weight restrictions are strictly enforced. On flight you are allowed only 20kgs. If your luggage is overweight, you will incur considerable extra cost. Bhutan is well known for traditional textiles made of silk, wool and cotton. Also popular in woodcrafts and jewelries you may buy local handicraft items. Always bring your own films/memory cards and other accessories, you may not get here or ones available in Bhutan are of inferior qualities. Passengers are allowed to bring in 200 cigarettes (10 packets – 1cartoon) on payment of 200 percent duty and alcoholic beverages up to 1 liter for personnel consumption. Bhutan has four seasons in a year, Winter (Dec, Jan and Feb), Spring (Mar, April and May), Summer/monsoon (June, July and August) Autumn(Sept, Oct and Nov). Bhutanese speak a variety of languages but Dzongkha is the national language and one of the widely spoken language. English is also medium of communication and most Bhutanese speak English. Communicating in English especially with the urban goers will enhance your knowledge on Bhutan. Gratuities are not included in your tour price and it’s at your discretion especially for your guide, driver and hotel staffs. There is no system of how much to tip and what things to give. while safety is not much of a concern, however it is good to come prepared for any mishap. We advise you to avoid roaming after 9 PM on the street alone. The capital city has begun to see burglaries, street fights and increasing drug users. But you can always take companion of your guide and a group to visit town. The reporting time is two hours prior to flight departure. All the counters are closed 30 minutes prior to the scheduled departure of the flight. Please note that Druk Air does not reserve pre-assigned seats. Seats will be assigned at the time of check-in.